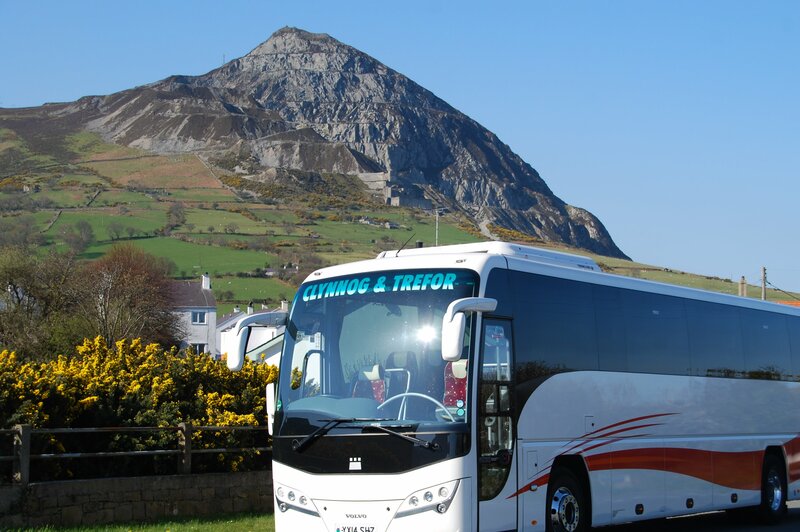 Established in 1912, Clynnog and Trefor Motor Co Ltd, located on the Llŷn Peninsula, Gwynedd, North Wales, have been providing reliable local, national and international coach hire services for over a 100 years. We are specialist providers of coach travel services for schools, colleges and universities and have developed an excellent reputation in this field working with many education authorities both locally and nationally. As leading bus operators Clynnog and Trefor run many local bus services in the Gwynedd area and deliver 100's of children to schools and college. Based on the the Llŷn Peninsula, Gwynedd, North Wales, we are ideally situated to provide extensive experience and competitive prices for luxury coach and minibus hire to Snowdonia National Park, Manchester, Liverpool, Chester, Manchester & Liverpool Airports as well as Ireland via Holyhead Ferries. Clynnog and Trefor Coach Hire offer a comprehensive range of services to any UK or European destination.